Whispering Smith are a Manchester based wholesale fashion retailer and have their own in-house brand, Brave Soul. Founded in 1967 Whispering Smith supply large online and high street fashion outlets such as; ASOS.com, Boohoo, La Moda and Namshi. As one of the leaders in the UK fashion wholesale market Whispering Smith strive to provide high quality bespoke fashion garments whilst ensuring that their garments are free from cruelty and force labour free. As of 2018 Whispering Smith have showrooms across the globe including London, New York and Madrid. The requirement was to develop a new B2B website on a new B2B targeted domain. • Fulfil small orders to new customers who are not able to buy in the quantities that our traditional customer base can. • Offer a convenient “shop window” to existing clients so that they can easily browse styles and see availability. • Drive traffic to the site through PPC and convert account registrations at a maximum cost per acquisition of £30. 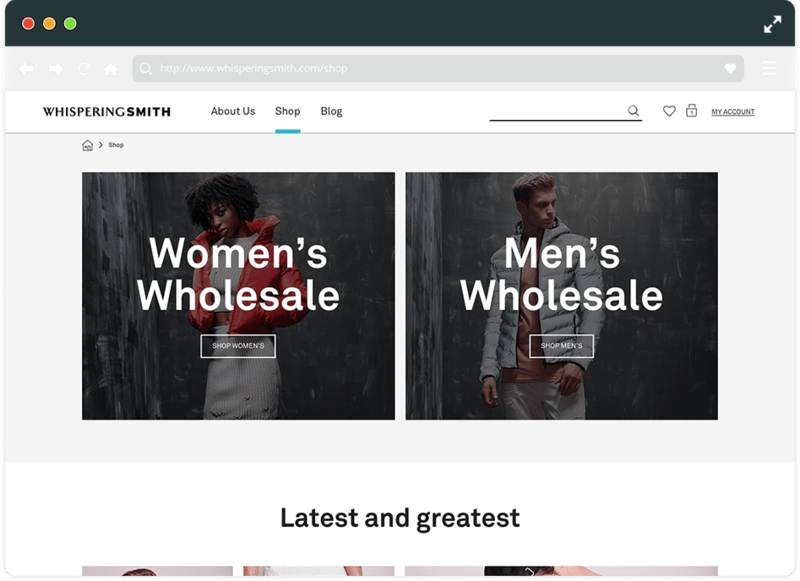 ○ One of the first sites in the UK launched with the new Magento B2B suite of tools. ○ Developed a two-step remarketing funnel targeting both non-registering users and users who registered but didn’t purchase any stock. ○ Used a variety of display and ad customiser text ads with elevated bid adjustments to target users at all touch points. ○ Launched LinkedIn ads targeting the fashion sector. ○ Targeted prospective buyers via in-market and affinity audiences to expand the Brand reach and have more coverage across higher levels of the marketing funnel. • Private catalogues has generated larger orders through their traditional sales channels and simplified their sales teams “on the road” process by allowing them to carry far less samples and easily display the full catalogues through their iPads. • Paid search was launched in May 2018 and has grown in reach and registrations each month. Since launch the account has grown 345% in terms of registrations (May - August). The average CPA for registrations since launch is £21.47.